Got this done over the weekend (Sunday). This is my first lariat and its 50 inches from one end to the other. 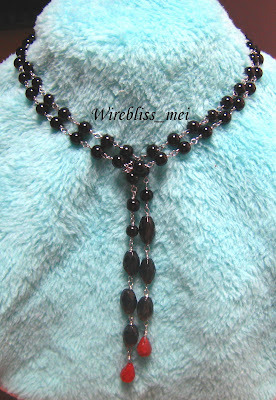 The black stones are 6mm agates while the six faceted stones are smoky quarts. 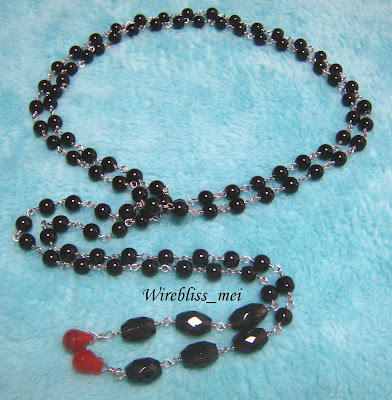 The teardrop shaped red stones are agate as well. This is a commissioned piece as well.